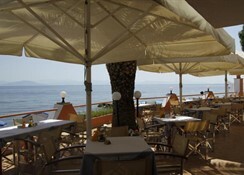 Corfu Maris Bellos Beach in Benitses distributed across 2 buildings, has 60 rooms and spread over 2 floors. The hotel is located directly at the rocky and pebble stone beach. 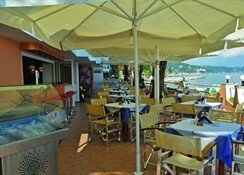 The closest cities to the hotel are Corfu Town (12 km) and Benitses (3 km). 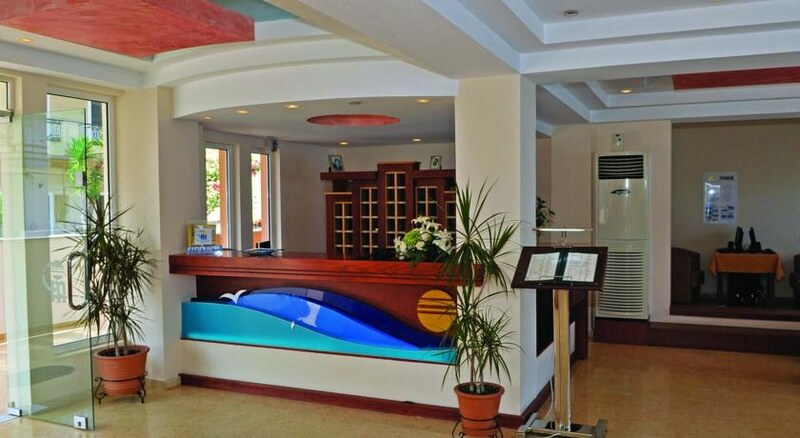 To make your stay more comfortable a reception and a lobby are available. The staff in this 2 storey hotel speaks Russian and English. A playground for children is available. A swimming pool with a separate children's pool is available. Guests can unwind with a drink at the poolside bar. Sunshades and sunbeds are available free of charge at the beach and at the pool. The hotel is within easy reach of supermarkets, bars and restaurants and bus stops. Distance from the hotel to: tourist information (3 km), airport CFU (10 km), Corfu Old Town (13 km), disco (3 km) and Achileion Palace (8 km). The breakfast type is Buffet and it is provided from 07:30 - 10:00. The hotel has one restaurant.